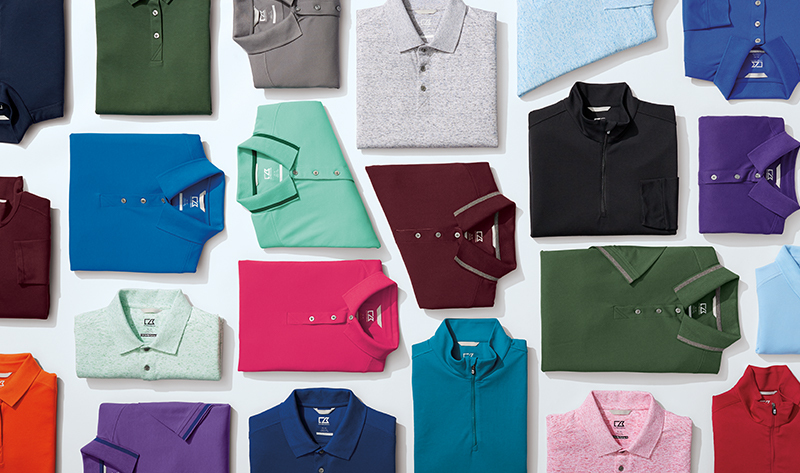 We admit it – we really like the polo shirt. 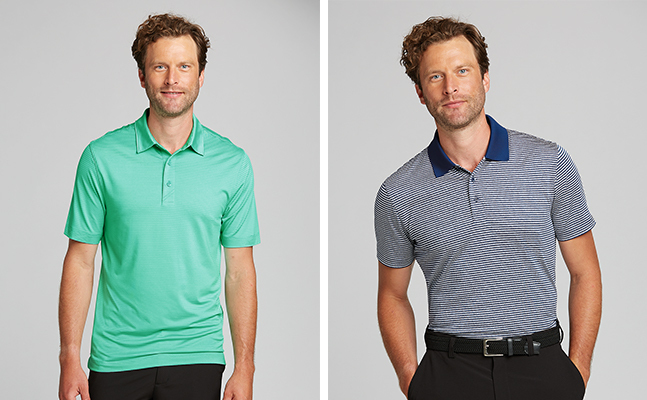 It’s a true classic and super versatile; you can wear it on the course or on the go. So, we make and sell a lot of them. 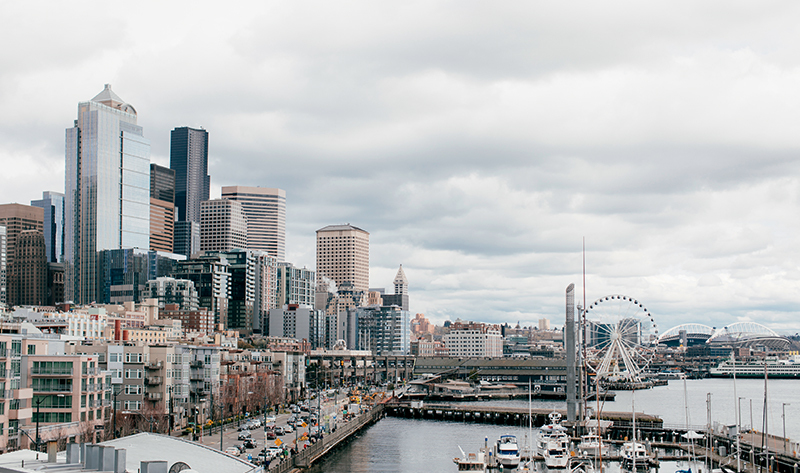 With so many to choose from, how do you find the right one for you? We’re here to help. All our polos offer a combination of style, comfort and performance – but in differing degrees. If you know what features are most important to you, it’s easy to find your perfect polo. 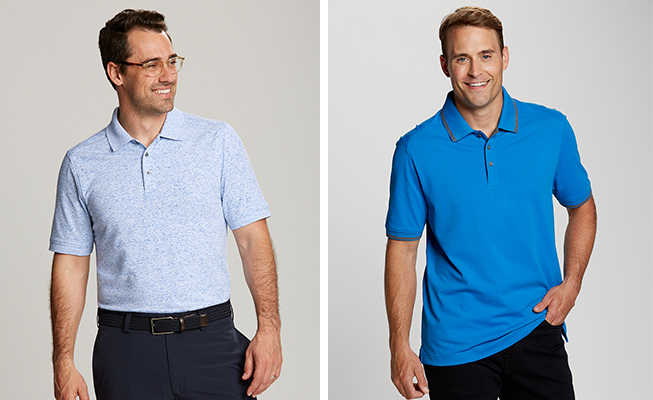 Our best-selling Genre Polo is your go-to. It features our Relaxed Fit, plus it’s available in Big & Tall sizes. It doesn’t cost a lot ($54 regular sizes, $67 Big and Tall), but you still get decent performance from the CB DryTec fabric with UPF 45 very good UV protection. If style is more important to you, then take a look at our Forge lines. These polos come in both our Regular Fit and our Tailored Fit, which is a slimmer, trendier look. And they come in a wealth of styles and colors, so you’ll have more options to fill out your wardrobe. 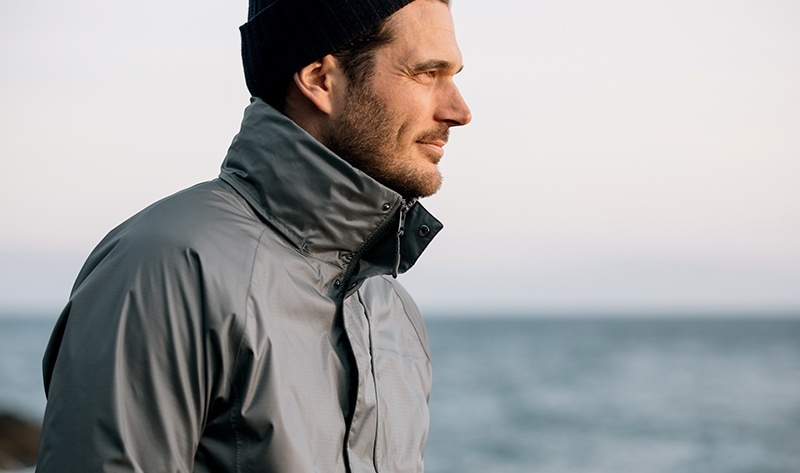 The Forge also offers excellent performance, with moisture-wicking fabric and UPF 50+ excellent UV protection, plus stretch so you can move more freely. All of this comes at a little more cost, of course – the Forge will run you $60 to $64 for a regular size, $76 for Big and Tall. In that case, you’re probably an Advantage man. These polos come in a range of colors and styles, just like the Forge. But they leave out a little performance (for example, you only get UPF 35 very good UV protection here), are only available in Regular Fit, and cost a little less. 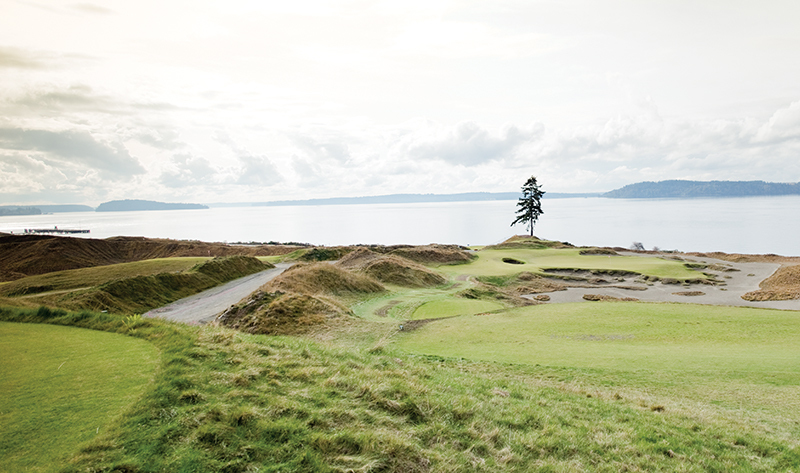 One thing the Advantage does have going for it: a cotton-blend stretch fabrication. If you prefer natural fibers, here’s where to look. 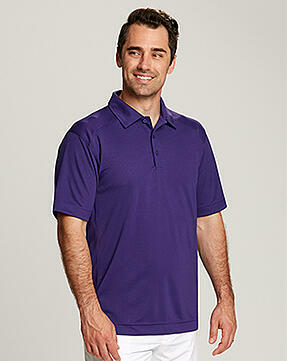 If you’re all about a polo you can play in, then consider our new Breakthrough Polo. It features a breathable, moisture-wicking cotton-blend fabrication and UPF 50+ excellent UV protection – and at $56 ($68 for Big & Tall), it’s a good value too. The Breakthrough doesn’t come in as many colors, and Regular Fit is your only option here – but you’re probably the kind of guy who wants them to watch your game, not your outfit. 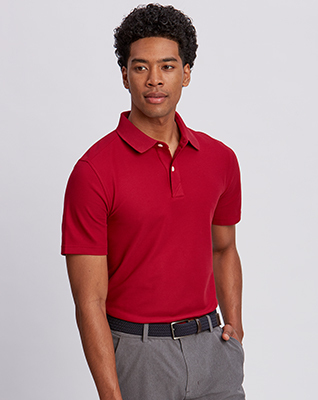 If price is your primary consideration, then we’d recommend the Northgate Polo. 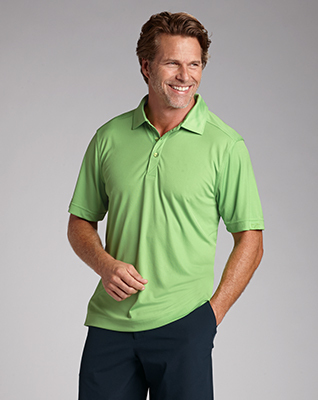 At $50 a pop ($64 for Big and Tall), it’s a great value – especially when you still get UPF 50+ excellent UV protection and moisture-wicking fabric. Not as many colors to choose from, and it only comes in Relaxed Fit, but your wallet will be feeling relaxed as well.